There are many reasons to visit downtown St Louis. 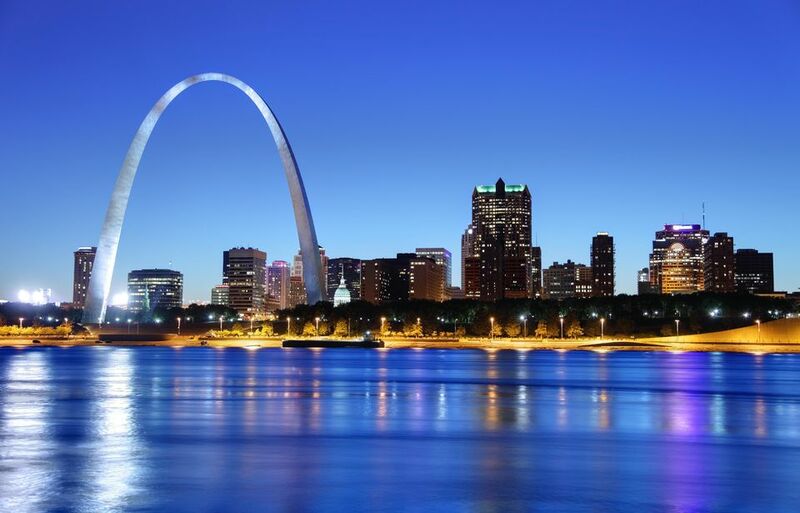 The Gateway Arch, Busch Stadium, and Ballpark Village draw in hundreds of thousands of visitors every year. Downtown is also a good place to go when you're looking for a restaurant. Whether you want steaks or Italian, or traditional American cuisine , you'll find a place for just about every taste in downtown St. Louis. Bridge Tap House is a fun place for beer lovers. There are more than 50 brews on tap, plus another 150 bottled varieties. Those who prefer wine can select from a list of more than 100 bottles. Enjoy your drinks with a cheese board, duck tacos or mushroom pad thai from the eclectic and ever-changing menu. The Broadway Oyster Bar is a little taste of New Orleans in downtown St. Louis. The restaurant's a great place for drinks and local live music, but you'll also find tasty Cajun-Creole dishes like red beans & rice, crawfish and jambalaya. When the weather's nice, check out the outdoor seating on the patio. Want a steak during your visit downtown? There's no better place than Ruth's Chris Steak House. The restaurant is known for its signature steaks for any appetite from the petite filet to the porterhouse for two. Ruth's Chris also serves specialty entrees like lamb chops, shrimp, and lobster. You can't really do a list of downtown St. Louis restaurants without including Tony's. When it comes to fine dining in St. Louis, no one does it better than Tony's. The restaurant is known for its incredible service, delicious Italian food, and extensive wine list. When you dine at Tony's, you can expect a meal made from the finest ingredients available. Whether it's the linguine with lobster and shrimp, filet mignon or prime rack of lamb, a meal at Tony's is a meal you will remember. Kemoll's offers some of the best views while dining downtown. The popular Italian restaurant is located on the 42nd floor of the Metropolitan Square Building. That provides diners with a 360-degree view of the Gateway Arch and St. Louis Riverfront. Kemoll's is also known for serving traditional Italian fare like chicken piccata, veal parmesan and linguine monte mare.